Andean condors Vultur gryphus, photographed by Gabriel Rojo. 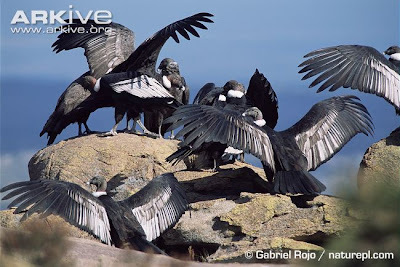 The Cathartae include the New World vultures and condors of the Cathartidae, as well as the fossil Teratornithidae. Cathartids are specialised scavengers, but teratorns were active predators. [AH03] Alvarenga, H. M. F., & E. Höfling. 2003. Systematic revision of the Phorusrhacidae (Aves: Ralliformes). Papéis Avulsos de Zoologia 43 (4): 55-91. [C04] Clarke, J. A. 2004. Morphology, phylogenetic taxonomy, and systematics of Ichthyornis and Apatornis (Avialae: Ornithurae). Bulletin of the American Museum of Natural History 286: 1-179. [C76] Cope, E. D. 1876. Report upon the extinct Vertebrata obtained in New Mexico by parties of the expedition of 1874. Geographical Surveys West of the One Hundredth Meridian 4(2): i-iv, 1-370. [C01] Cracraft, J. 2001. 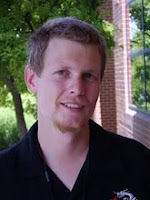 Avian evolution, Gondwana biogeography and the Cretaceous-Tertiary mass extinction event. Proceedings of the Royal Society of London Series B – Biological Sciences 268: 459-469. [S66] Sclater, P. L. 1866. Notice of a specimen of the Californian vulture (Cathartes californianus) recently added to the Society's collection. Proceedings of the Zoological Society of London 1866: 366.